Have you ever heard of Dogecoin? If you haven't maybe you should start learning about them and their community before they hit the moon. Such cool runnings! 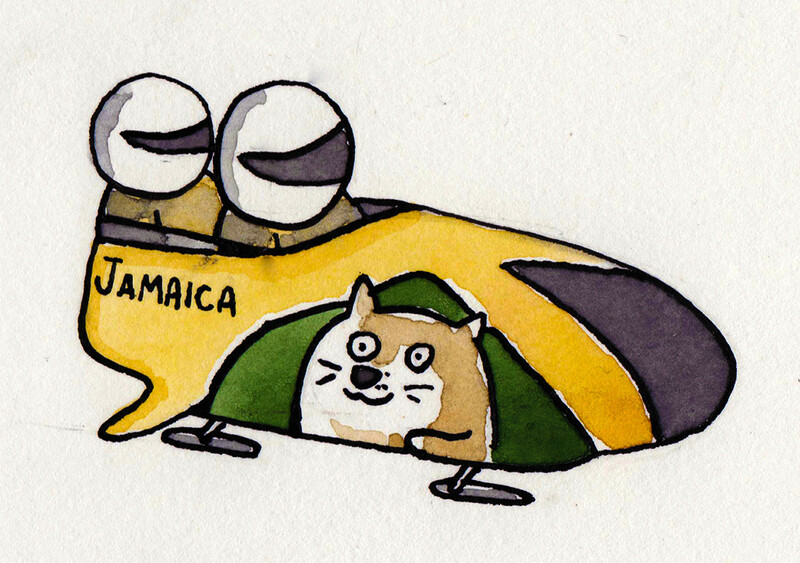 When the Jamaican bobsled team needed donations, Dogecoin gave it their best effort and raised well over $30,000 for the team. You can read more about it at NPR. 2. They sponsored a freaking NASCAR car that raced in Talladega and placed top 20. The Dogecoin community made history with Josh Wise by raising more than $55,000 to sponsor a NASCAR car. 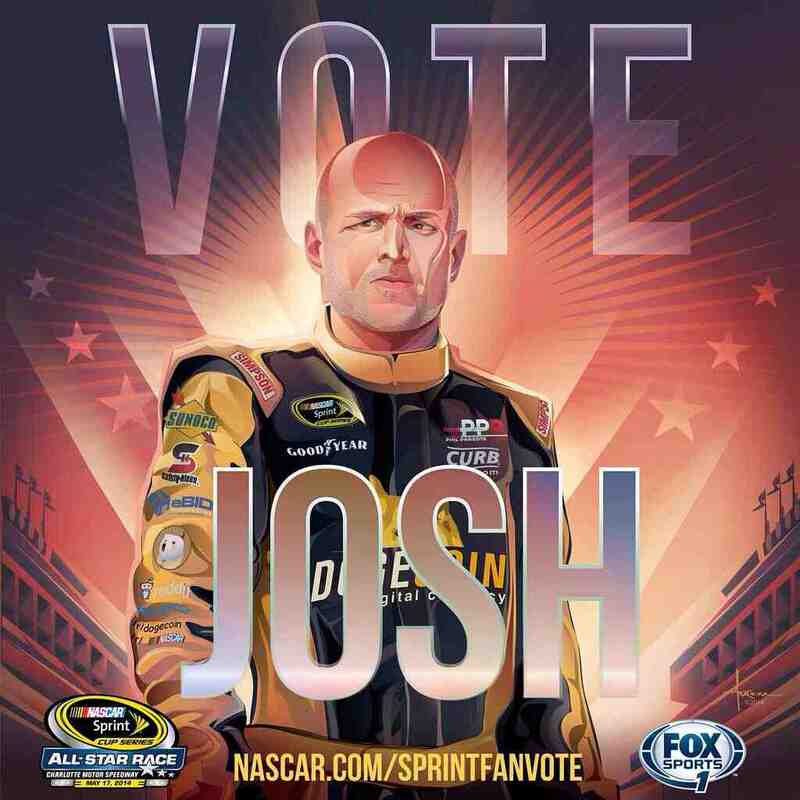 You can read more about the history of NASCAR and Josh Wise's impact here. Here you can see Josh pit by himself and the announcer talk about the "ol Google machine". If you would have told me one year ago that a relatively unknown race car driver that's sponsored by a cryptocurrency named after a meme of a shiba inu would win the fan vote . . . I would have called you crazy. 4. Dogecoin is starting to be accepted for purchases. From coffee to donut shops, Dogecoin is getting off the ground when it comes to making purchases. Tune into the Dogecoin community as they usually stay up to date with the new places. 5. There are gifs . . . for everything! Who doesn't love gifs? Well, Dogecoin has a lot of them. And by a lot, I mean they have a gif for nearly every situation they could ever encounter. 6. Because everyone in this community believes. While it might seem like a joke to some, it's far from it to those involved. Once you read up on the community you will come to realize that they take it very seriously and believe in the Dogecoin. Such as this man who sold his home for Dogecoins. 7. Other than a few bumps in the road, Dogecoin has continued to grow since its inception. And the best part is that when there is a bump in the road, everyone remains positive for the most part! There is no need to post a suicide prevention link in this community. 8. Dogecoin has been to space. While it's not the moon, it's still such wow. A Redditor aboard the ISS provides the community with astro-Dogecoin pics in space. For example, they raised over $25,000 for the 4 Paws for Ability foundation. 10. They won't stop until they're at the moon. Where is the moon for them? No one knows at what price that will be. However, you can guarantee that the Dogecoin community will be here to stay for a long time.